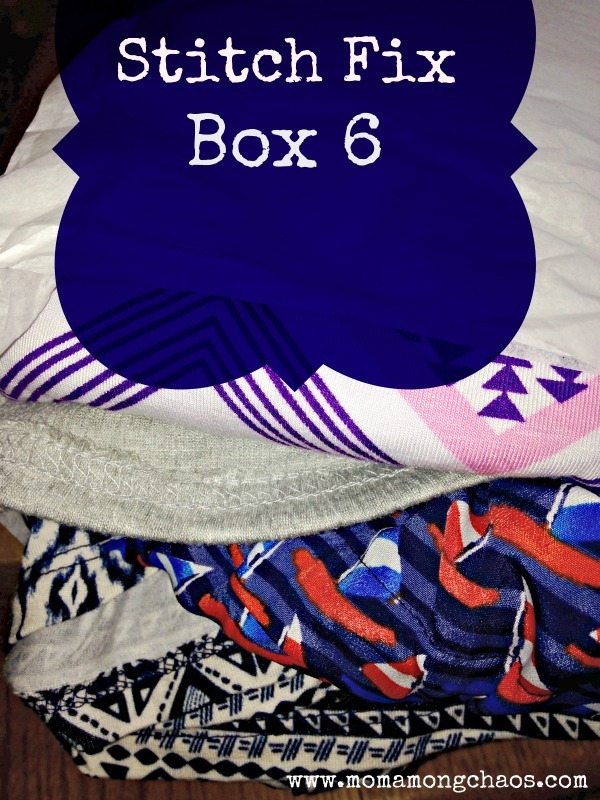 This blog post contains affiliate links to help maintain my love for Stitch Fix. 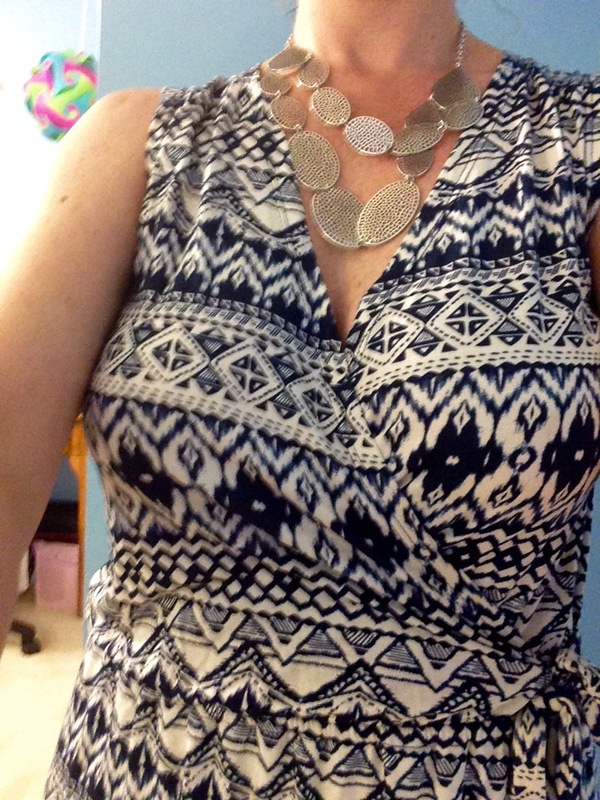 If you haven't noticed by now, I'm madly in love with Stitch Fix. What is Stitch Fix? Stitch Fix is a styling service that uses your Pinterest board to find the perfect styles for your body type. You pay for what you like and send back what you don't. If you keep all of the 5 pieces that are sent you receive a 25% discount. If you keep nothing, you pay a $20 styling fee. It's a win-win all the way around. I love adding high-quality pieces of clothing to my wardrobe. I feel clothing that is timeless and well made is worth the price tag. For all 5 pieces this month with my discount my total would be $180. Read below to find out what was a hit and what was a miss. The above picture shows the Market & Spruce Jillian Crochet Detail Tank, Loveappella Cheyanne Printed Maxi Skirt, and the Dante Cut Out Metal Oval Layered Necklace. Feel free to pin any images in my post. I was so pumped about receiving a maxi skirt. I love them. They are one of my summer essentials. I loved the softness and the design on the Loveappella Cheyanne Printed Maxi Skirt. It was a tad snug around my waist, so the small runs a little smaller than normal. My stylist, Haley, recommended that I tie the Jillian Crochet Detail Tank on the side. I loved that idea because it then made the outfit more figure flattering. I thought the Dante Cut Out Metal Oval Layered Necklace completed my look perfectly. This was my favorite outfit. I loved that I could look messy and chic at the same time. I was getting ready to go to bed when I decided to have the mini fashion show, so please forgive the messy hair and makeup free face! I kept this outfit. I can't wait to wear it out! I begged my stylist for the Pixley Tammi Printed Dress. 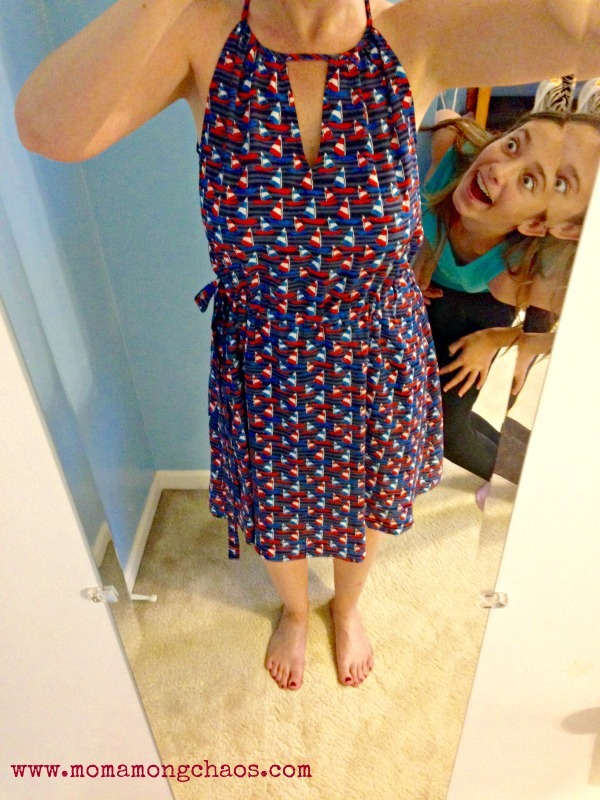 I call it the sailboat dress. I was so thankful that she ended up getting it for me at the last minute. 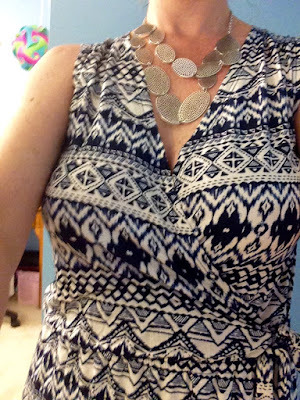 This dress is a very requested item among the Stitch Fix community. Sadly, I hated it on me. It was not form fitted around the waist and made me look chunky. 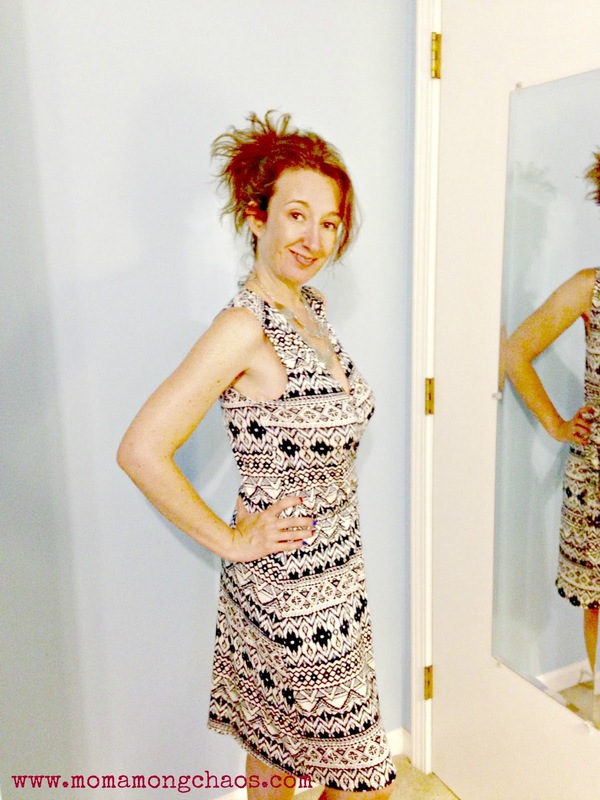 I ended up selling it to another Stitch Fix fan, so I could keep the discount. I had three different people tell me it was a no. I was totally bummed. This dress is called Papermoon Weston Faux Wrap Dress. This dress was super soft like the maxi skirt. I'm not sure I love the pattern or how it tied at the waist. Once I took a picture, I decided that I liked it more. I think it will be a cute piece to wear to church with a jean jacket. I ended up keeping it for now. If it just sits in my closet, I will end up selling it. Overall, it was a pretty good box. My next box will be coming at the end of August. I will be calling that one my 40th birthday box. Have you tried Stitch Fix? 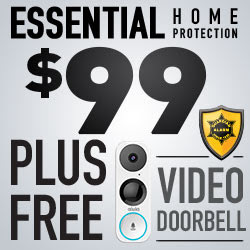 You can click on any of my links to sign up! I love it! Which of the pieces that I received is your personal favorite?